This is actually what I wore yesterday but I've been on a photoshoot all day today so I was all smart and actually manage to snap an outfit on Sunday. How preplanned of me! I'll be posting some of the shots from the shoot tomorrow! Lovely outfit, I can't wait to see your images from your shoot! girl, i love your coat! This coat is lovely! Not something I'd pick out for myself but seeing it on may convince me otherwise. Love it. Love the quilted jumper! The necklace looks lovely with it. 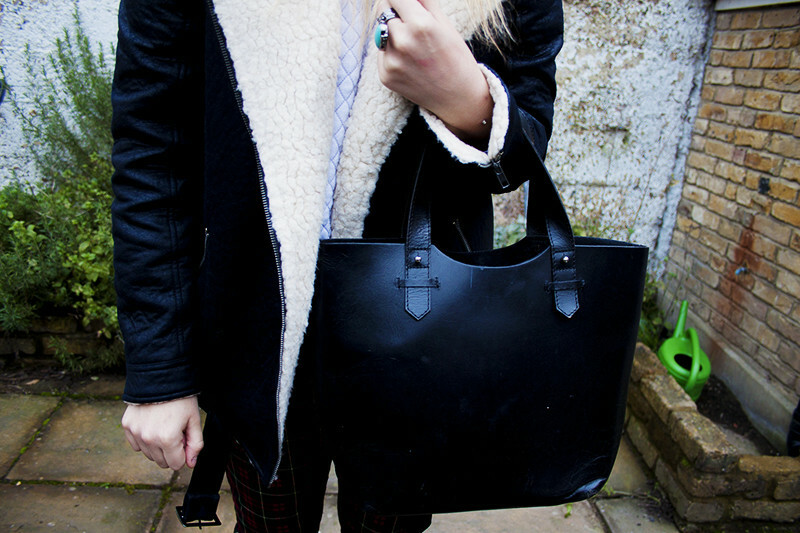 Nice outfit, perfect for this cold weather! I'm excited to see tomorrow's shots! Great job at preplanning, Lily! I like this look, especially that pretty necklace. I always read yuor blog but never leave a comment (It has to be four years now haha). I really love those trousers. Hope you can see my blog sometime, it would mean a lot to me! The jacket is lovely and I want the trousers. The coat looks so comfy and warm! Oooh I love those trousers! I LOVE this outfit! that coat is a beaut! Incredible. I'm going to sit here and scroll through the archives of your blog... I am SO stuck for what to wear for work this week. Inspire me! Picked up these trousers today, love them! I love the trousers, a nice take on the tartan trend. Lovely outfit, can't wait to see the pictures! That coat is a banger! When I watched your haul I instantly fell in love with this jumper! 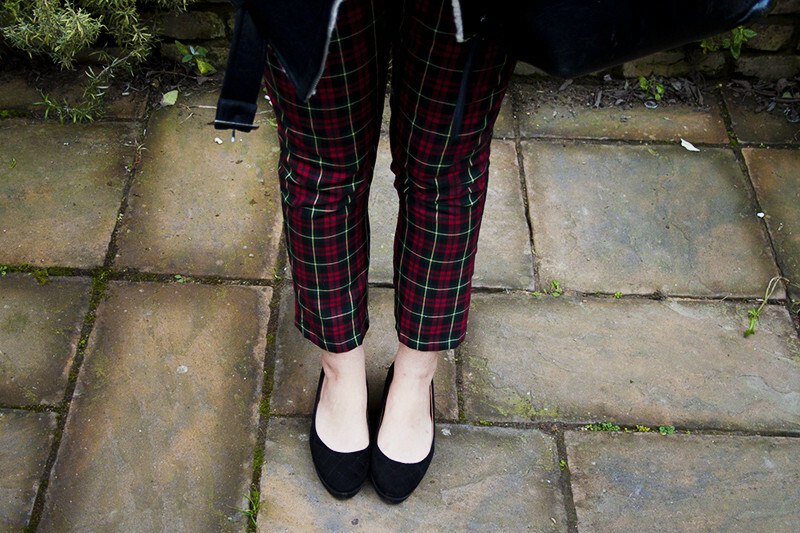 The tartan trousers are to die for too! Love the plaid pants--I must say I've never worn or owned a pair, I think I'll have to try it sometime! the trousers are so lovely! I am really in love with your outfit. Such amazing look. I love that jacket, it's gorgeous! Such a gorgeous coat, it looks perfect on you!